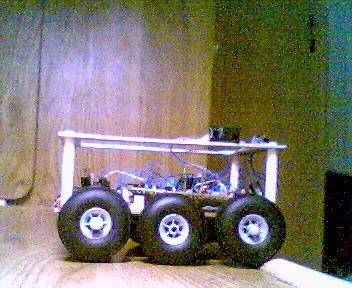 This is a mobile robot with 2 distance IR sensors. The robot is riding near the wall avoiding obstacles. The robot made of to modified servo motors and controlled by PIC16F84 micro. The wheels are landing wheels of a remote controlled airplane.